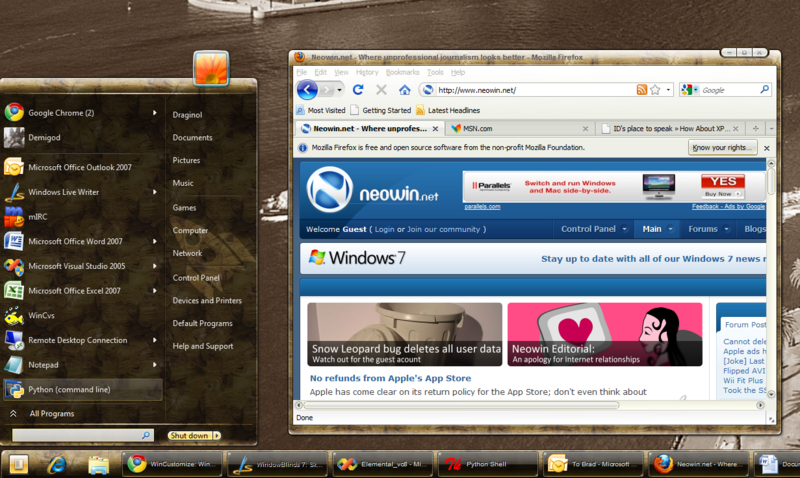 WindowBlinds 7 (currently in beta on Object Desktop) is the latest version of Stardock’s flag-ship desktop enhancement utility. It is the program that introduced GUI skinning to Windows users back in 1999. 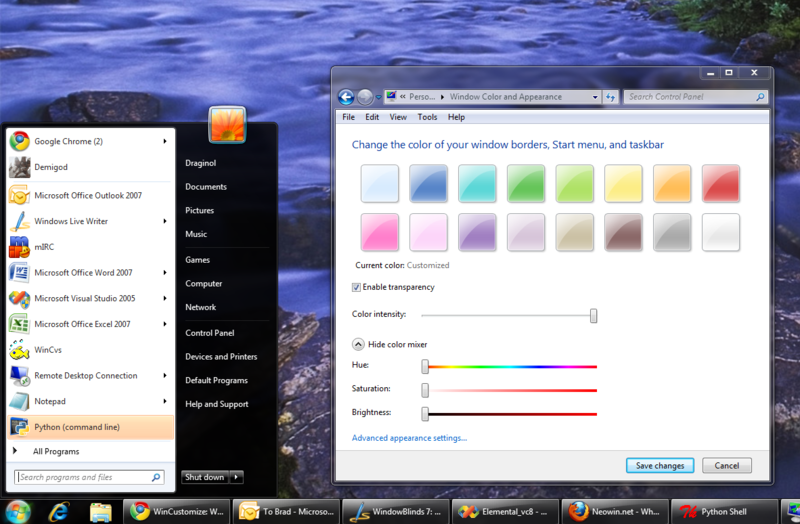 With each new version of Windows, the program has been updated to take advantage of the possibilities of that version. 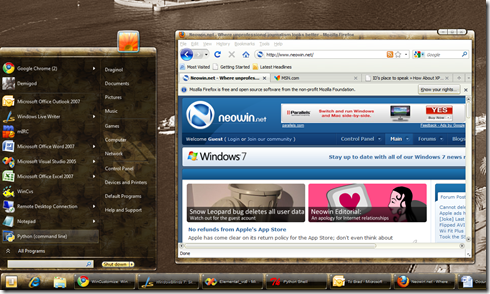 Since the release of Windows Vista with its “Aero” UI, users have found Microsoft’s new user interface motif both beautiful and frustrating. 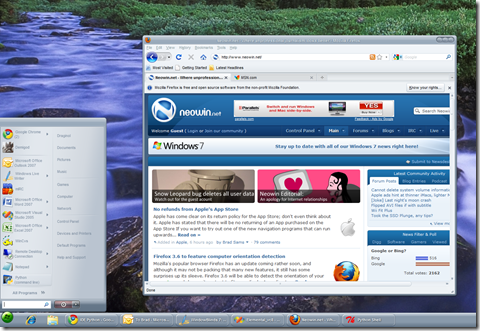 Beautiful in the sense that it’s a glass look and feel but frustrating in how inflexible it is compared to say Windows XP’s UI. 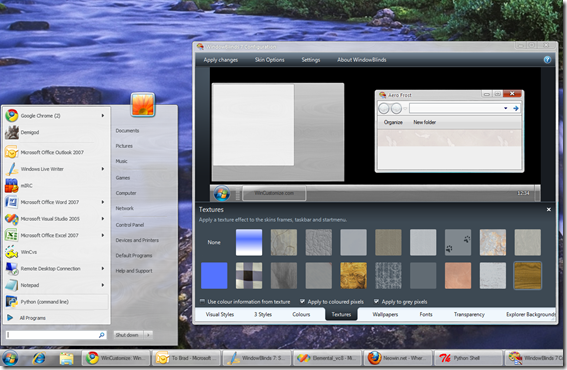 Issue: Can my XP Msstyles work on Windows 7? 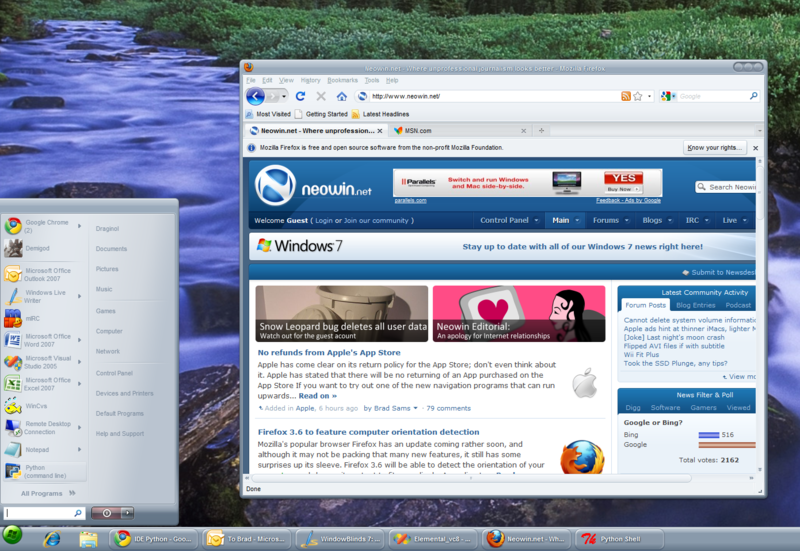 This is running on Windows 7. 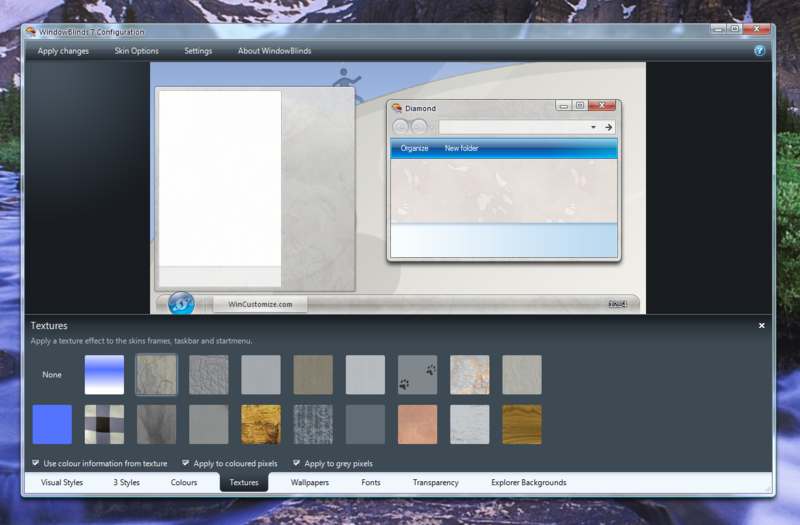 Issue: I don’t like WindowBlinds skins, they’re “ugly”. Aero rulez! I’ll side-step the debate on what determines “ugly” and focus on Aero. 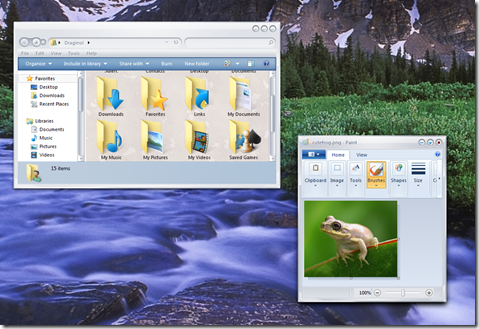 WindowBlinds 7 introduces a new format called UIS0. The idea is to be able to apply different types of textures and skins to Aero itself rather than completely remake the UI. There is also a new feature in WindowBlinds 7 that allows users to texturize existing skins. Changing colors in Aero skins. Changing textures in Aero skins. As a result: Even if you don’t even use the thousands of other skins available to WindowBlinds, the new features in WindowBlinds 7 give you an infinite number of possibilities. The Start button can be raised or centered. 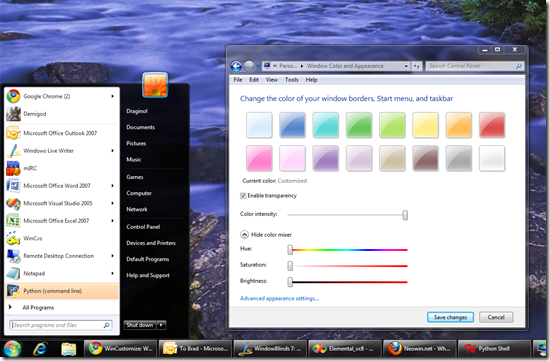 The above is the best one can do with the built in customization options in Windows 7 when trying to make Aero “dark”. Obviously something like the above is impossible with the built in options in Windows 7. 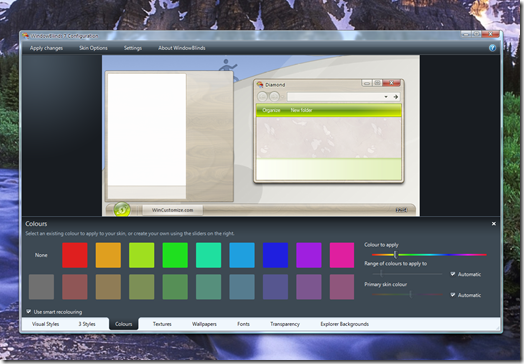 Issue: What about new skins for WindowBlinds 7? 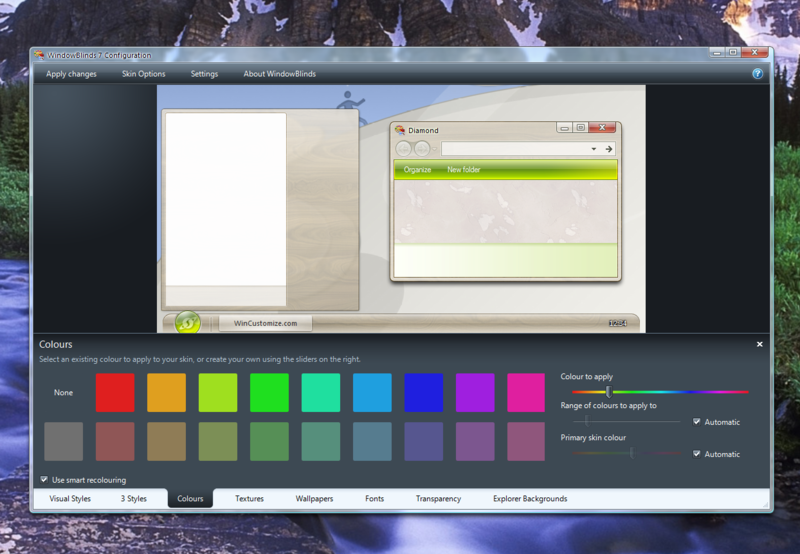 There’s lot’s of new skins in development specifically for WindowBlinds 7 too. Here are 3 that are already done. 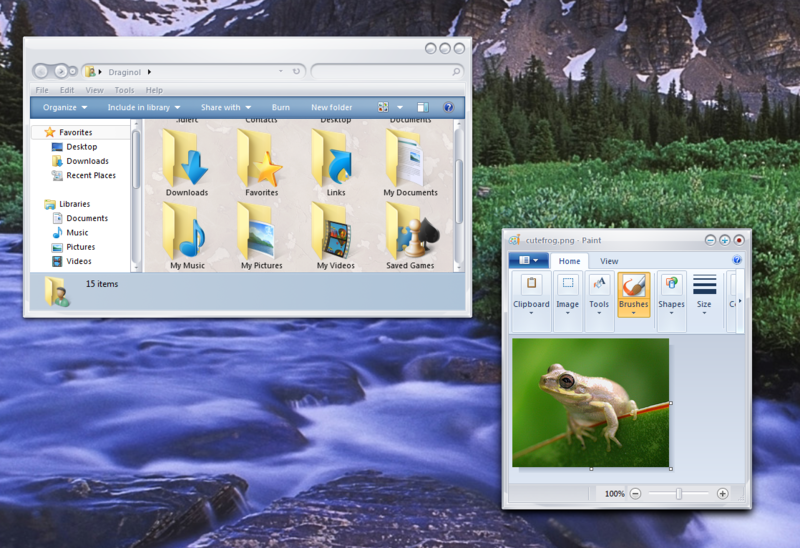 As the release of WindowBlinds 7 gets closer and additional skinning features come online, more skins will be released both by Stardock Design and the community. 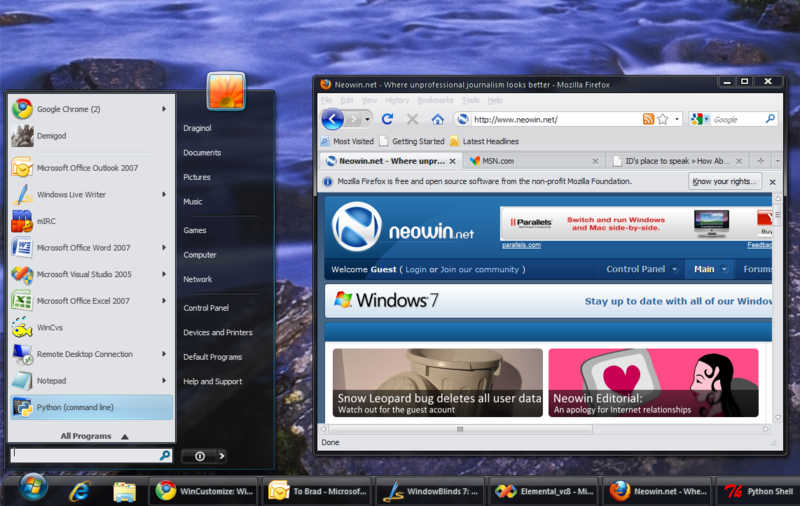 If you want WindowBlinds 7, right now the only way to try it out is via Object Desktop (www.objectdesktop.com). Im sure the casual customizer will be pleased with the ability to texturize but it doesnt really make Aero any less Aero in that the general ui design layout is still the same just with a texture over it. I can't find that Zenith...how about a link? You may want to wait until UIS0 is out. You will be able to do Aero Midnight or Aero Metal using Aero itself rather than having to build a full skin. You know, Vstyler, I've been reading your posts for awhile now and you do realize that you're starting to be a little obnoxious right? Which skins are you meaning? If you mean speaking my mind about 7, pointing out things that might need fixing with WB\SKS, giving my thoughts on the direction of WB or helping other skinners fix problems or giving honest critique when it's asked for ? If so.. then yes I suppose I have. If not, then if you would, please be more specific in calling me out like that Brad as I'm unsure what you mean and it makes me look bad unfairly. I was hinting (without mentioning names, trying to be polite) about the two skins mentioned after the fact by messiah that I did for SD that I have been wondering about, thats all. Not sure what was obnoxious about that though. Well not everyone wants to completely change the UI design. Some user would just like simple changes like textures, small additions, etc, and I think we have some ideas that will improve on that, along with the people who want more to their skins. Is there a mask for controlling the amount of a texture that is applied to a skin (much like there is for coloring a skin). What if there are some part of a skin that I DON'T want to have the texture applied to? Is that possible - should that be possible? 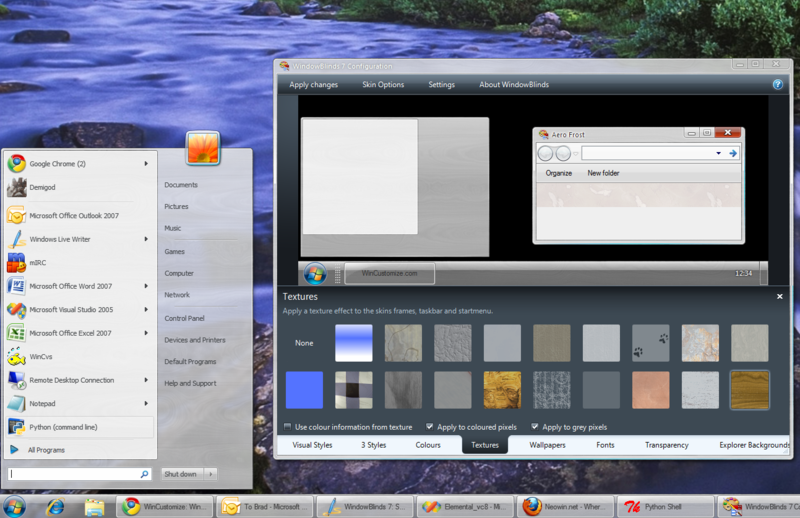 The texture is applied to window frames, startmenu and the taskbar only. Nice things on the horizon. 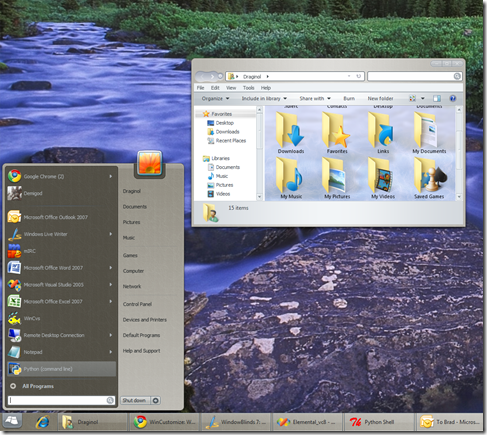 Since it's new, I'm currently a fan of the new Aero in Windows 7. I'm definately looking forward to being able to add textures. Would the ability to hide the user picture in the default Aero of Win 7 be something that we might see in the future as well? I agree, masks would be good instead of letting WB "guess" where to texturize. I just noticed in the latest WB 7 build you can choose to add textures to only the gray parts of a skin or everything. That is kind of a mask - very nice. I have noticed that some older skins had very fat vertical boarder when a texture was applied - that too seems to be fixed in the latest build. Much Kudos to the developer(s).